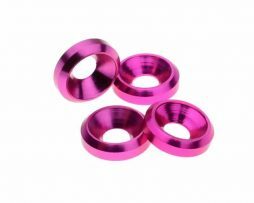 Help your PC mod receive the recognition it deserves with these anodized washers! 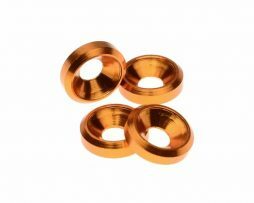 These washers are countersunk which means the inner edge of the washer is beveled to allow a flat head screw to lay flush. This creates a very clean, and complete look for your build. They come in a variety of colors to match your color scheme, and look awesome mounted to radiators and fans. This washer is designed to accommodate the #4 Flat heads as well as M3 (3mm) metric Flat headed screws. 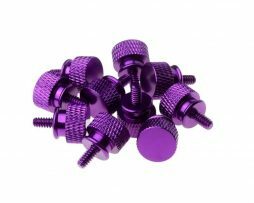 They also will work with M3 socket head cap screws. 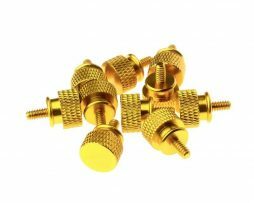 These look great with our M3 flat head screws! 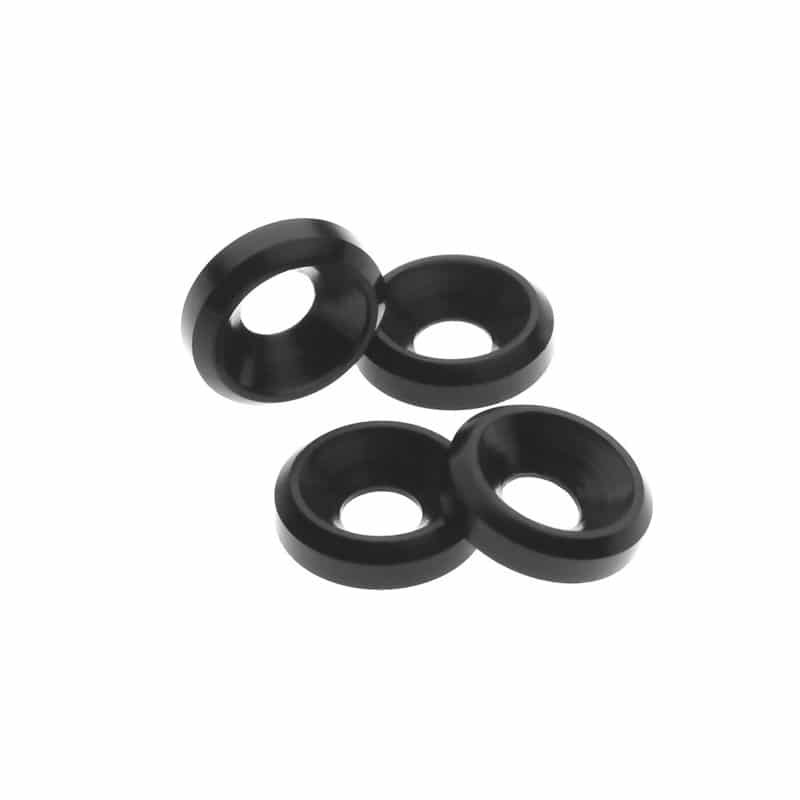 The dimensions are 5/16 (8mm) outer diameter and 5/64 (2mm) high. 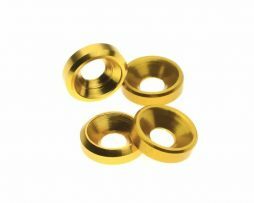 – (4) washers per single quantity.